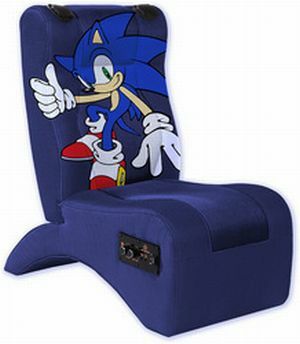 Not all gaming rigs find a place here, but this irresistible gaming chair for kids, featuring SEGA’s, Sonic the Hedgehog, from Ultimate Game Chair and SEGA was something we couldnât pass around. Dubbed the Reactor Mini Game Chair, it has a full sized blue image of the Hedgehog. It is the first-ever game chair, styled and designed for 3-to-9 year olds. Has to be for this segment certainly isnât the most prone to gaming. The SEGAâs iconic blue mascotâs image is wrapped around the 25 and Â¾-inch in height and 14 Â½ inch in width and 13 pounds chair, for a 3D effect. Using the chair, kids will surely have an ultimate gaming experience, with a full-body sensory experience in the vicinity of a gaming chair thatâs perfectly sized and tailor-made to enhance the gaming experience in the young. The Reactor Mini Game Chair for the toddlers, priced at $69.99 plus shipping charges, will be made accessible online at Ultimate Game Chair from 21st of the month. ‘720 Skates’: Inline skates re-invented! Turtlecamper: Robotic pet turtle crouches it’s way!